These puddle stompers are perfect for dancing in the rain! Now that summer's about to end, we're putting our short shorts, bikinis, and sandals at the back of our closets (sigh), and making room for clothes with more coverage. While that makes us a little sad, we're still excited about our rainy day outfits. Wanna know why? 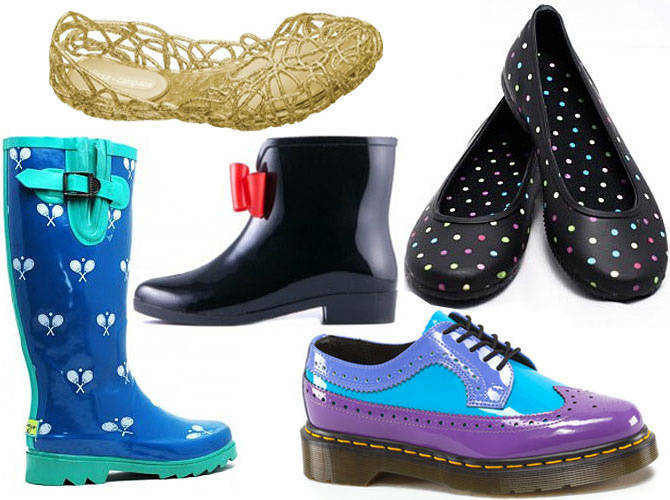 We found puddle-proof shoes and rubber sandals (they dry fast) that are practical and stylish! Didn't think it was possible? Launch the gallery and find out what our top picks are!